I have written a few articles on winter bird photography. I have explained the best locations for winter bird photography, how to find birds in the winter and where to go to look for birds in the winter. I said in one of my articles you can only find some birds in the winter. 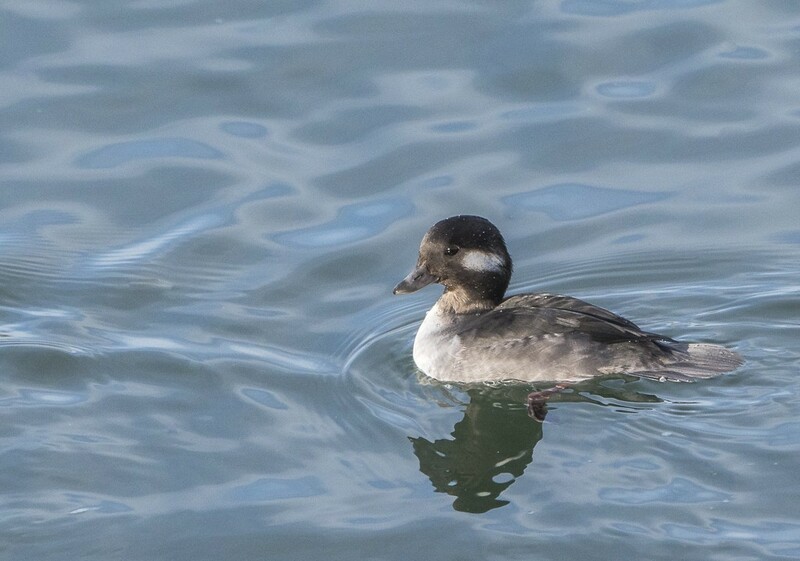 The male and female Buffleheads to the right can be found here in Alberta in the mountain lakes in the summer, but are hard to find. In the winter they gather in the Bow River in Calgary in the winter, thus making for some easy photography. 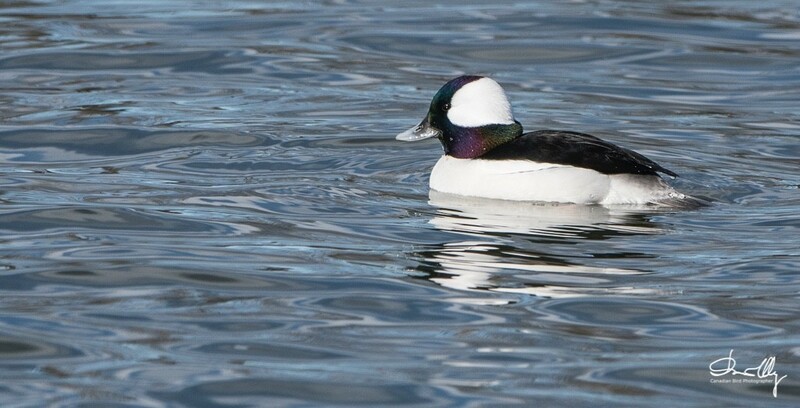 The males are easy to spot as there heads are mostly white. 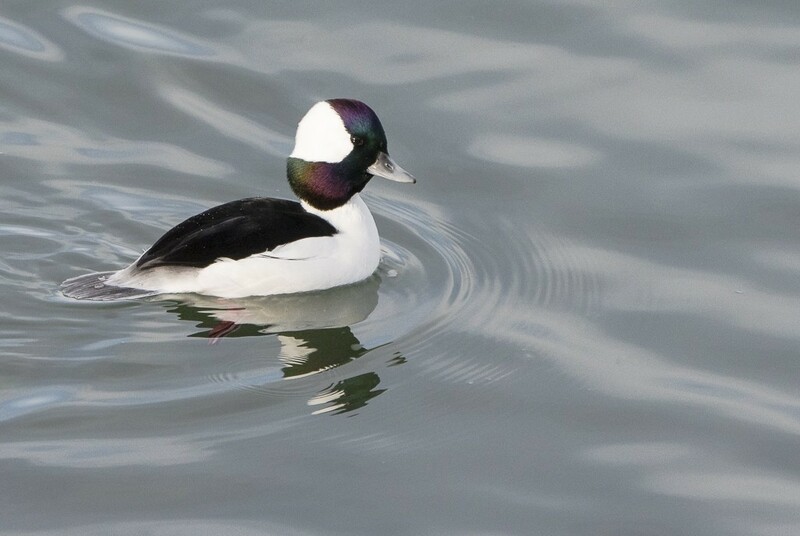 The females however are a little more difficult to spot as they look very similar to female Goldeneyes. The two photographs to the right were photographed from from the top of a knol. Not the best angle, however, with my Nikon 500mm and a little distance it was acceptable. 1/1600 @ f 6.3 ISO 500 Nikon D 500 with 500mm F4 on a Monopod light was over my left shoulder.